Team TIBCO/To the Top has bolstered its race management team to five for 2011 with the addition of three respected and experienced women as race directors - Lisa Hunt, Angela van Smoorenburg and former Canadian national team member Felicia Gomez. Lisa Hunt has joined the Team TIBCO UCI squad as North American manager/director sportif, after operating and directing Team Vera Bradley in 2010, and the ValueAct women's cycling team for several years before that. "Lisa is one of the most experienced directors and managers in North America," said Team TIBCO/To the Top Founder and Managing Director Linda Jackson. "The USA Cycling National Racing Calendar is our primary focus, and Lisa knows the race calendar thoroughly. She brings a tremendous amount of organization to our team. And with her marketing and advertising background, she has a keen awareness of the value of a sponsorship and how to maximize it for our partners." Lisa will work alongside Jeff Corbett, who will continue as a consultant to the team. Corbett was Team TIBCO's Director in 2009, and played a major role in the team's rise to #1 in North America. Dutchwoman Angela van Smoorenburg will take over primary directing duties for Team TIBCO in Europe, working alongside Chris Georgas, who will continue to manage the Team’s operations in Europe. Van Smoorenburg rode professionally in the 1990s, contesting many of the top races throughout Europe. Upon retirement, she became a directeur sportif, guiding several Dutch women’s teams during the past decade as they raced the top one-day classics and stage races on the UCI calendar. "As a sports director I always work from the same mindset as when I was a cyclist," van Smoorenburg said. "That's with motivation, interest, curiosity and intelligence. I say often: 'Because somebody can ride a bike doesn't mean she can race.' A rider must know what she is doing, in training and in races. I enjoy working with riders to become smarter racers, and to help them achieve their best results. I’m looking forward to working with the riders on Team TIBCO and helping them perform to the best of their abilities here in Europe." "I am thrilled to have Angela work with our squad in Europe this year," said Jackson. "Our European racing program is critical to the growth of our top riders, especially as we head towards the 2012 Olympic Games. We've expanded our international racing calendar even further this year, and having Angela aboard will help our riders get the experience and results they need in Europe." Team TIBCO is also pleased to announce that former professional cyclist Felicia Gomez is taking over the directing duties for the Team TIBCO Juniors squad. Gomez was a professional cyclist for five years with Webcor and Aarons Pro Cycling, where she was a teammate of Meredith Miller. Just as important as her racing experience, Gomez brings a PhD in Exercise Science and Nutrition from the University of Guelph to her position with the Team. "Felicia's value to the Junior Team goes far beyond her racing knowledge," Jackson said. "Physically, our junior riders are still developing in many ways. Having someone with Felicia's depth of knowledge in exercise and nutrition will be especially important to make sure our young women riders continue to develop as athletes, and are able to maintain long careers at the elite level." "I'm really excited to be working with the Team TIBCO Juniors," Gomez added. "We have a very talented, motivated group of young women on the squad, and I'm looking forward to helping them grow as athletes and people this year." Gomez began her athletic career as a runner before taking up duathlon, a sport in which she twice participated in the World Championships. 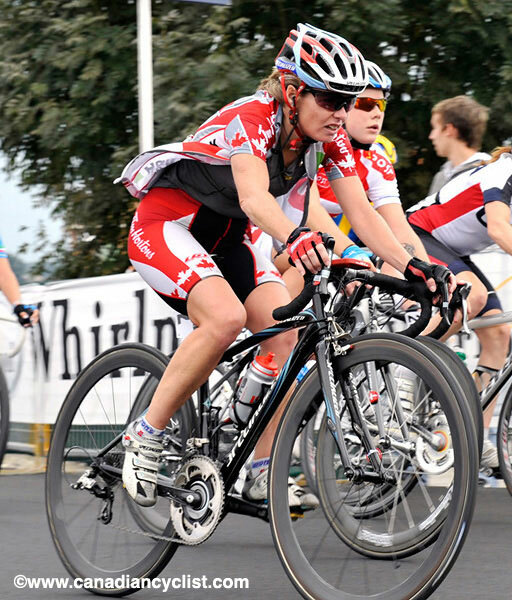 After accepting a professorship at Fresno State in California in 2002, she began to take racing her bike more seriously and developed into an elite performer, twice medaling at the Canadian National Championships, and twice participating in the World Cycling Championships. In addition to teaching in the Kinesiology Department at Fresno State, she is a coach and owner of Pinnacle Training Systems, where she specializes in coaching different types of athletes, as well as providing nutrition and wellness services to a variety of clients, including elite athletes and the general population.